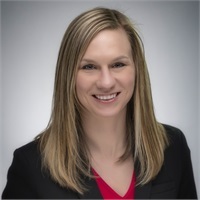 Courtney joined Ellenbecker Investment Group in March of 2016 as an Operations Associate with several years of experience in the financial industry. In 2018, she transitioned to Julie Ellenbecker-Lipsky's team and helps guide her clients through all aspects of financial planning to provide EIG’s standard of exceptional service. Courtney graduated from the University of Wisconsin-Whitewater in 2005 with a degree in Finance. After working in a family run restaurant in Lake Geneva for six years, she decided to pursue a job in the finance industry. Before joining EIG, Courtney worked for a global bank in their Milwaukee-based corporate actions area for four years. She has successfully passed her Series 65 Uniform Investment Adviser Law exam. Courtney was born in the Madison area before moving to Indiana, Colorado and then back to Wisconsin where she resides in Waukesha. Her favorite activity is spending time with her two beautiful nieces. She also enjoys reading, grilling out, spending time with family members and friends, and watching college and NFL football. Courtney is an owner of the Green Bay Packers, so every Sunday during the season she can be found wearing her green and gold and cheering on the Packers.